Want the detailed specs for the next iPhone? 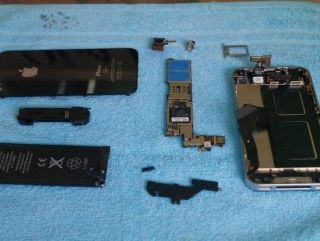 A recent iPhone 4G prototype has been torn apart and examined, with the details on the next iPhones specs leaking online this week. The news comes from Digitimes, which cites unnamed Taiwan-based component makers as the source of the latest iPhone 4G info. If you are a fan of watching iPlayer or YouTube videos on your phone, then you will be particularly pleased to hear that the next iPhone will get a high resolution 960 x 640 display, on an IPS ('In-plane Switching') panel with FFS ('Fringe Field Switching') tech. All of this means that you will get wider viewing angles from your phone's display and the screen will be far easier to see in bright, direct sunlight. A clear bonus for watching videos while picnicking in the park next summer! The new iPhone's panel is 33 per cent thinner than the current iPhone display, which means that the iPhone 4G can pack in a slightly larger battery. Great news for iPhone fans, as the limited battery life on current models is a real bane for iPhone users. The iPhone 4G has the same ARM Cortex A8 processor as the the iPhone 3GS, expected to be clocked slightly faster than the 3GS's 600MHz. Digitimes also reports that iPhone manufacturer Foxconn is looking to ship an incredible 24 million iPhones throughout 2010.